The Martin Luther King Jr. annual marade is on Monday, January 16th. 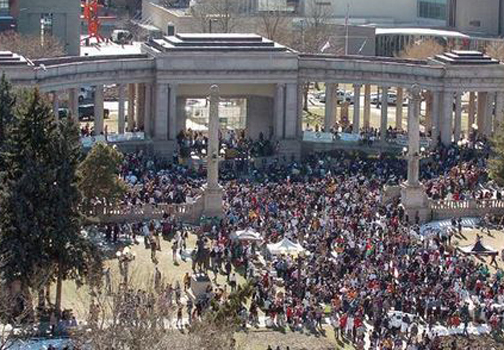 Denver hosts the largest MLK march and rally in the United States. Participants will start at City Park at the Dr. King Memorial Site around 9:00 am and march to Civic Center Park. The rally will continue all day celebrating and commemorating the life of MLK at Civic Center Park.